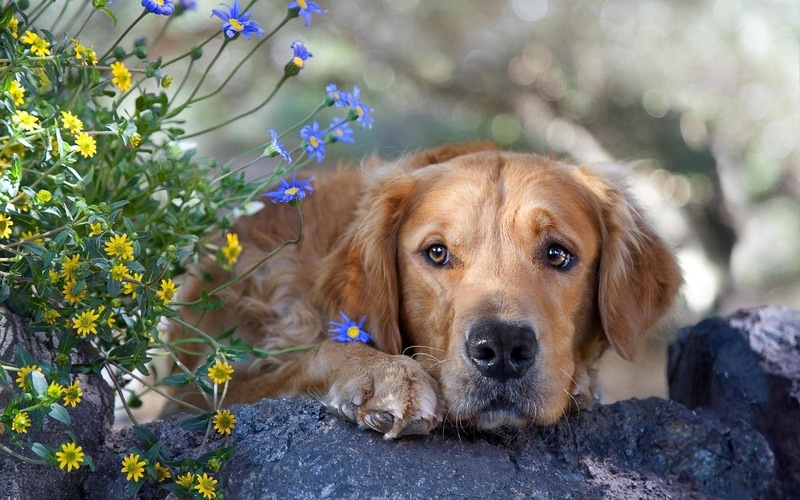 Wallpaper of a dog lying on a rock with flowers beside him. A cute dog background in HD for PC, tablet or smartphone. Please share it if you like the photo.